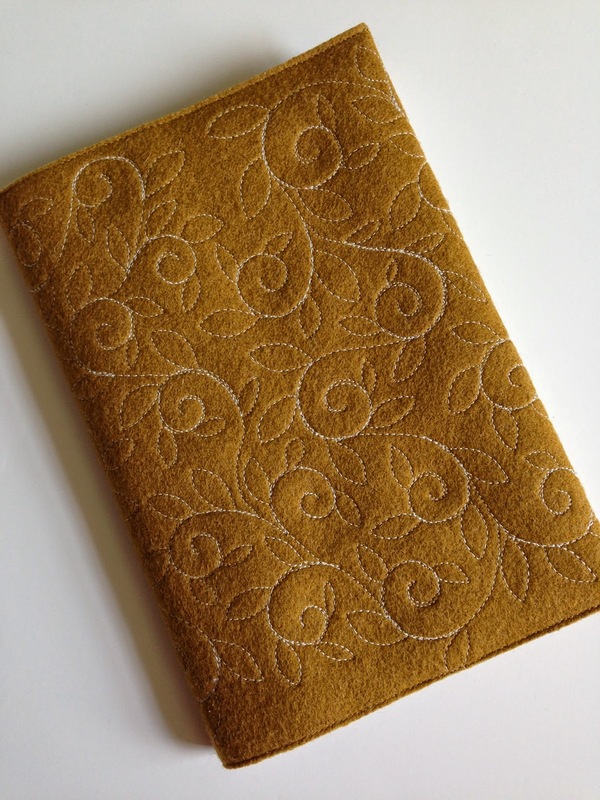 I made this journal cover out of a beautiful piece of wool from the Pendleton Woolen Mill store. 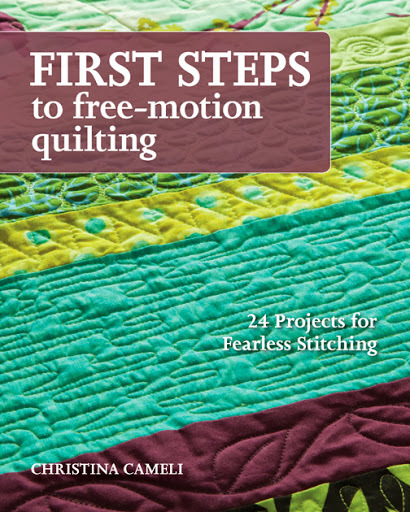 I went there because my friend and superstar Susan Beal was writing a book about sewing with their fabrics and I was curious. Her book, Hand-Stitched Home is out now and it is lovely. Cozy and sweet, which is exactly the kind of person Susan is. 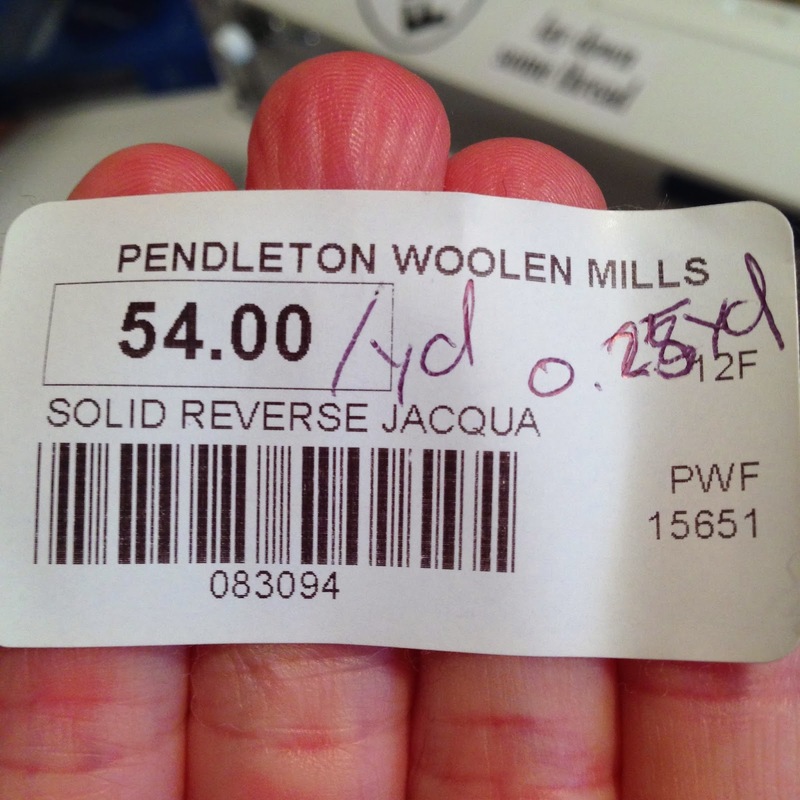 So at Pendleton I picked up a piece of this thick, solid colored wool that was different colors on each side. 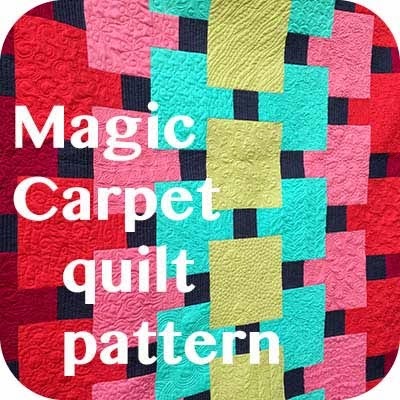 It was labeled "Jacquard". I think usually jacquard means complicated weaving but in this case even though it was solid it was done on their jacquard looms, and that is how they got different colors on each side. And wow! How cool to not have to worry about batting or backing, just sit down and stitch. What an easy present! 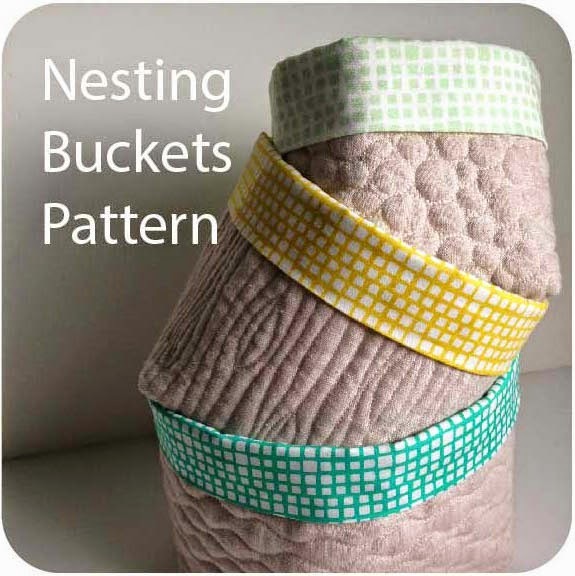 Measure your piece, stitch something pretty, fold over the edges and stitch along the top and bottom. The one thing I was particular about was keeping the stitching from going off the edges of my piece, I didn't want to cut any threads and have them unravel. Very pretty and nice idea. I love it! Good idea. So pretty ~ I've got to get out there ~ I want to make a wool blanket! 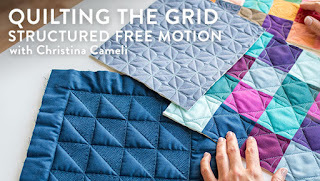 Love the quilting you do ~ so darned inspiring! Bring this to class today! 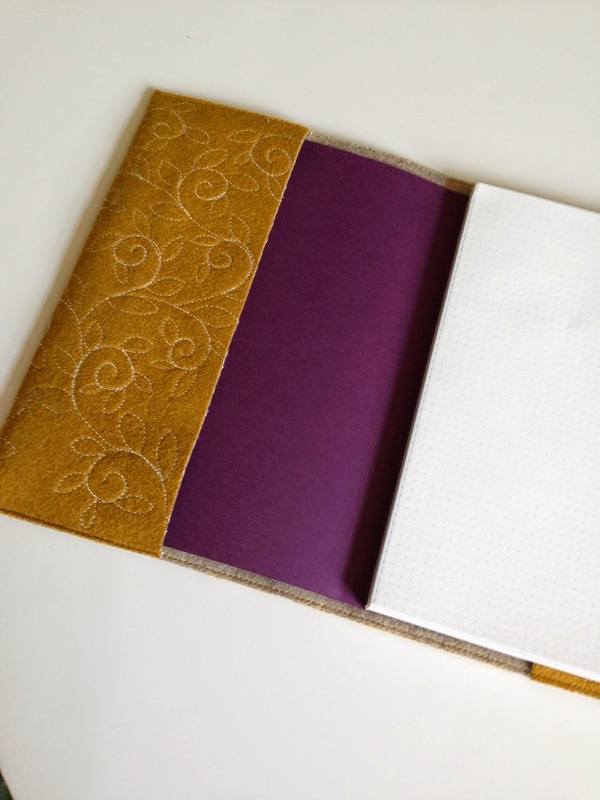 Great idea and oh so gorgeous! 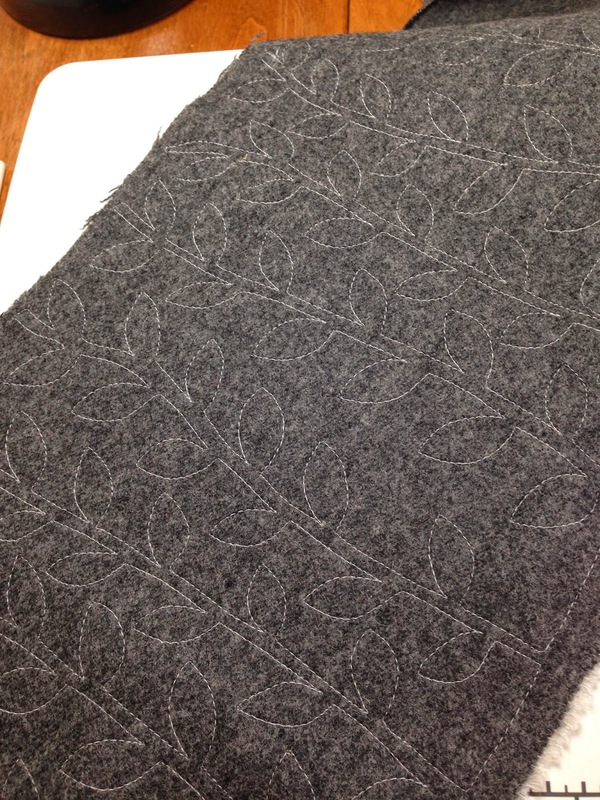 Is this wool felted? Is that why it won't unravel and you don't have to turn under your seams? 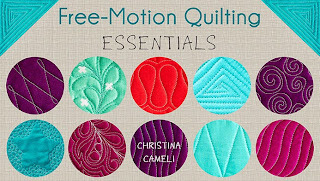 Never sewed with it but Jamie Fingal does all her quilts with wool backing and no batting. 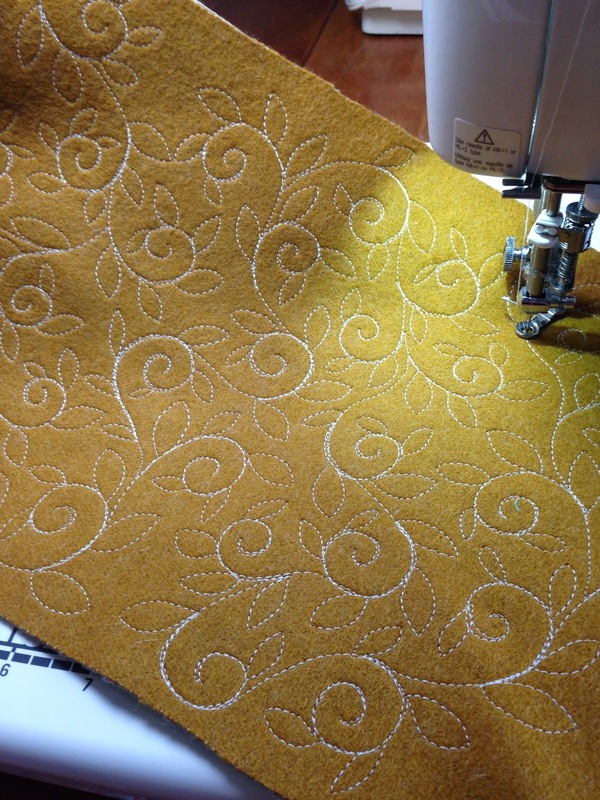 It must sew like a dream! 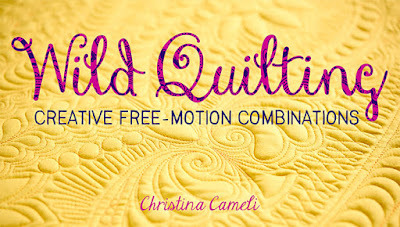 woops, Christina - editing last comment - I meant to say she does her art quilts with wool backing - I don't know what she uses for quilts for actual use and washing. 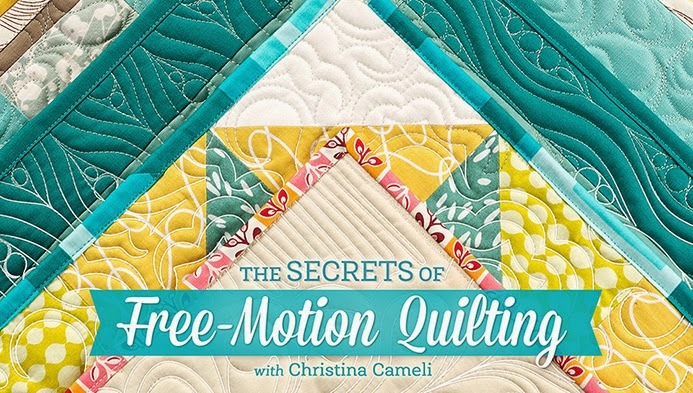 Just checking out you book tonite for quilting inspiration! This is so simple and beautiful. I have always loved the feel of Pendleton wool. Oh...I just noticed your new photo...love it! Really gorgeous Christina! It looks like it was very fun to do. 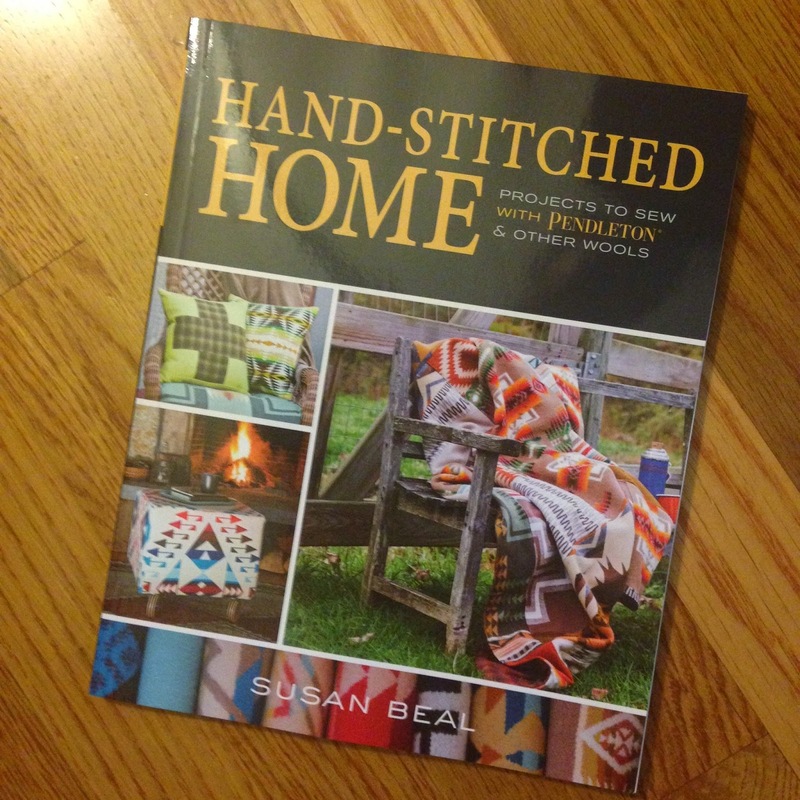 Susan's book looks very interesting - I love Adirondack style and wool projects fit right in with that. I recognized this little piece of wool from your craftsy class. Thanks for yet more inspiration!